Sarah K. Anderson “didn’t plan to be a teacher” but, after working for nonprofit and government agencies she realized that “all real change comes through education.” Happily, she ultimately loved being a teacher. The teacher’s perspective rightly permeates Ms. Anderson’s Bringing School to Life: Place-Based Education across the Curriculum. Although she now serves as the Fieldwork and Place-Based Education Coordinator at the Cottonwood School in Portland, Oregon, she sees herself as a practitioner building upon the work of authors such as David Sobel, Greg Smith, and Delia Clark, who have articulated the value of place-based education over the past twenty years. In her position she works with other teachers at the school to implement this refreshing approach among the school’s diverse students. These teachers are trying to help the students learn to be exemplary citizens who research and act justly and with tolerance for others in pursuit of public policy change within their community. It is a student-centered and experiential approach. Students need to be able to evaluate, develop, and defend positions on public issues in order to enrich their own civic character and the lives of their fellow community members. Place-based education fits squarely within the principles of progressive education, to which American educators have aspired for more than a century. 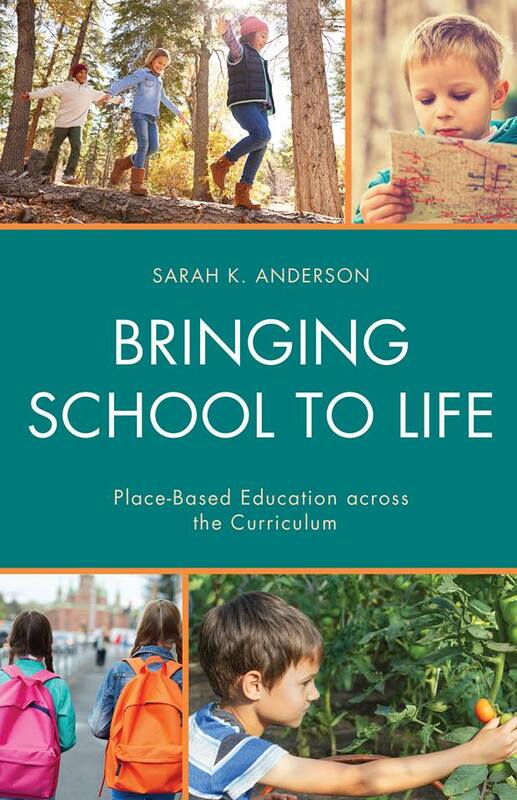 Anderson lays out reasons why now is the right time for place-based education that not only connects students to their political community but also to the natural world. She cites the idea of a “nature-deficit disorder” and is concerned that students might be less informed than they need to be about the environment. She is attempting to revitalize American democracy. She decries the people’s disconnection from their neighbors as well as their local government and politics. She affirms that it is as important that students know how their local government works as it is for them to know about the U.S. Constitution, although understanding constitutional principles is also fundamental to making local change. She is attempting to revitalize American democracy, which at present is hamstrung by an inadequate quality and quantity of civic education. Ms. Anderson rightly sees the communities and the schools as mutual resources. The students and other community members are often from more diverse backgrounds than the teachers, and the students deserve education that helps them encompass diversity while pursuing common societal goals. They need to understand their communities from many perspectives so they can “construct a sense of place that is in line with a child’s development.” Central to all of this is the idea that students can also serve as teachers. She describes appropriate place-based activities at different levels within the K–8 curriculum, from classroom and playground and neighborhood to city, state, and world. Mapping of different sorts helps the children connect emotionally and intellectually to the local geography and to the environment, inspiring the students’ study of the relevant sciences. Ultimately history, civics, and the entire school curriculum can contribute to these rich connections. An example of place-based education that the teachers at the Cottonwood School employ is an active-learning curriculum of the Center for Civic Education entitled Project Citizen. She oversees the implementation of Project Citizen in the school’s seventh and eighth grades. She describes Project Citizen as “a perfect place-based unit for middle school, as it integrates civic education, civic action, and service, along with multiple standard-based skills.” She calls it a “formula for citizen participation in creating public policy.” The Cottonwood School’s projects have been selected several times in recent years to serve as the Oregon representative at the Project Citizen National Showcase in California. The voice of a master teacher resonates in this straightforward book. Ms. Anderson gives down-to-earth tips to teachers about implementing place-based education. She shows teachers how to overcome resistance to place-based education, assess student work, engage with the community, and meet state standards. She acknowledges the difficulties that face teachers, particularly those with very large numbers of students. But she exhorts those overburdened teachers to give it a try, even if they have to “start small and go slow.” Sarah Anderson knows that the effects on the students and our democracy as a whole are worth the effort.